Furla presents its new collection of handbags for spring summer 2012 with the elegant trunks Candy Bag experiments with new materials and new trends in the banner of Made in Italy between art, creativity and innovation. 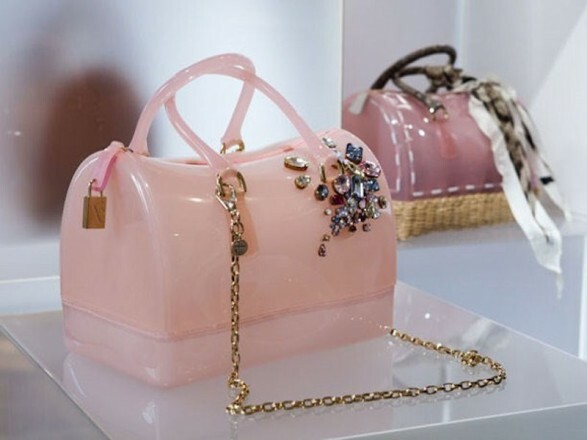 Accessories Women play a vital role to create a look and personality Furla handbag Candy Bag is just part of this horizon, becoming less than a year since its launch a true style icon. 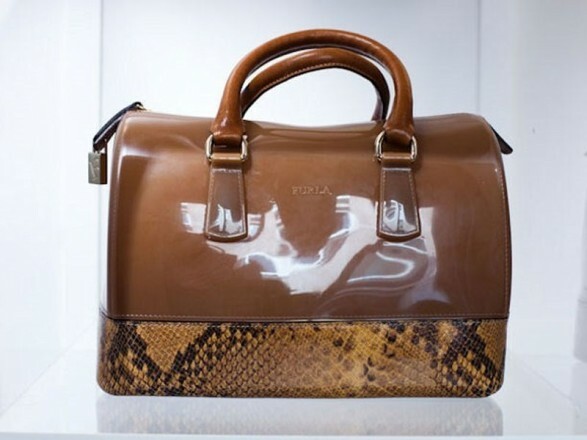 Now Candy Bag you renew materials and experiences and moods as the new super-trendy or stylish rubber calf python print. Furla, to reaffirm his field of research, has also played exclusively for the printing process the artist Sissi project “Candy-brissima” or fashion as “hybrid” creative, staging and installation-performance ” Changeable – Identity “where important values ​​are enhanced as the brand’s Italian style and passion for art, wonder and irony. The collection of accessories Furla for Spring-summer 2012 is a travelogue through culture and art that some Italian and Mediterranean are the protagonists down the colors where the blue sky, black and white stones and rocks, the warm earth tones of honey, red and yellow, with hints of gold and silver. The inspiration and natural light are also found in materials such as bull leather, vintage leather, canvas salt and pepper, along with reptile-inspired high-tech materials such as neoprene. Is particularly striking, for example, the tail bag and rubber inserts declined python print leather in a cool and vibrant turquoise.